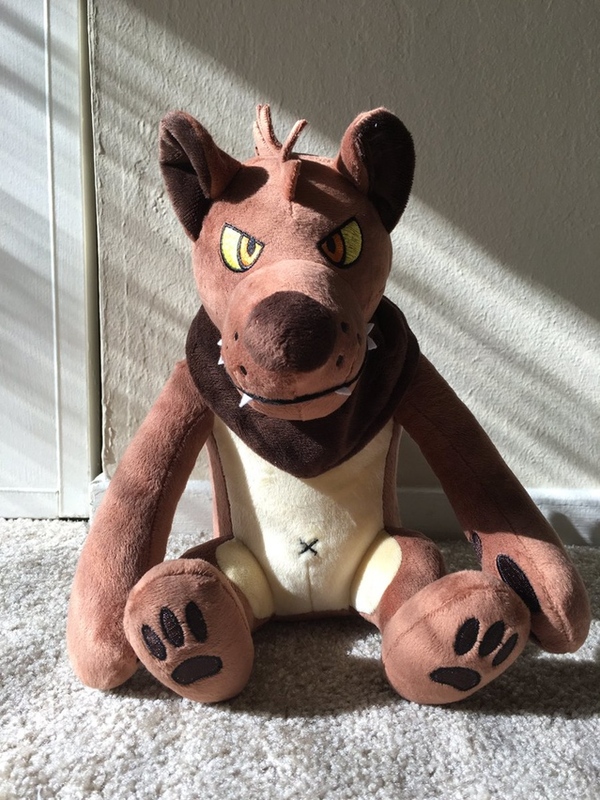 Chloe Borders’s Autumn 2016 werewolf plush Kickstarter wasn’t successful, but both Chloe and I have faith in this excellent boy, and he will return! Chloe’s bringing him back with a new Kickstarter campaign in Spring 2017, timed to line up with tax return season and increased cash flow from potential backers. 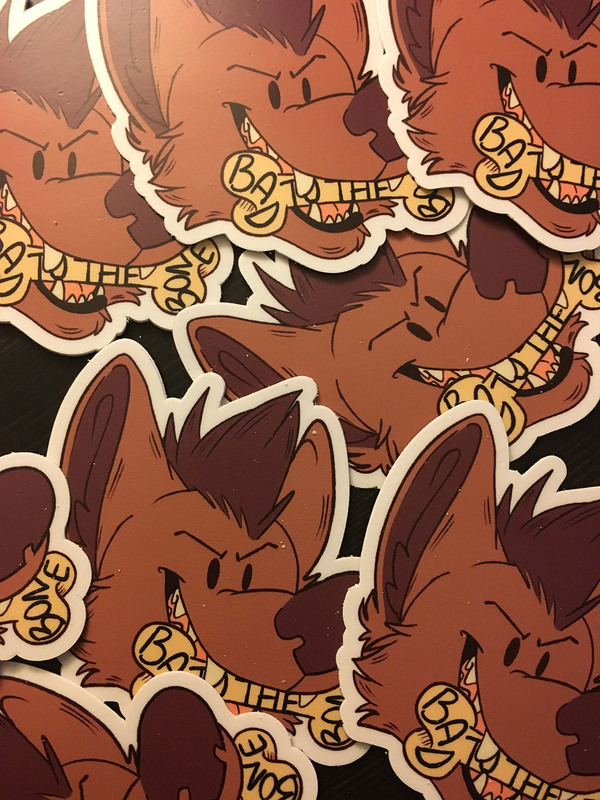 The new campaign will feature an updated prototype and additional rewards like enamel pins and these 3″ weather-proof stickers she just had made. I was a giddy proponent of the original campaign and I know many Werewolf News readers were too. 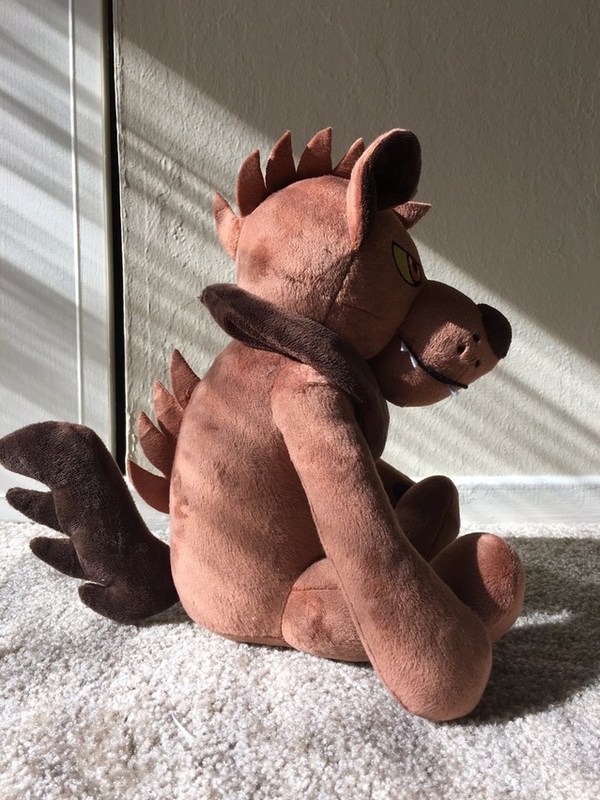 I’ll be posting about (and pledging to) the new campaign as soon as it launches, but if you’d like to get details from Chloe as they become available, you can sign up for her werewolf plush mailing list. Update: mailing list signups have has been disabled, but you can get the latest in the original campaign’s Update section, where Chloe continues to share new info.